The following resolutions were passed by the North & East Texas County Judges and Commissioners Association representing 73 counties in the State of Texas on May 15, 2014, during the Association’s Annual Conference. NOW, THEREFORE, BE IT RESOLVED that the North & East Texas County Judges and Commissioners Association expresses its wholehearted thanks and deep appreciation to the Honorable Commissioners Court of Galveston County, sponsors, contributors, and exhibitors for their courteous and warm hospitality extended to each of us. NOW, THEREFORE, the North & East Texas County Judges and Commissioners Association and its 73 current member counties do hereby resolve that for the foregoing reasons, it is in the best interests of Texas counties and their taxpayers to support and favor the passage of legislation in the form of an amendment to the Constitution of the State of Texas that would expressly prohibit the imposition of a mandatory governmental program on Texas counties, whether by an act of the Texas Legislature or a state agency or by executive order, unless the State of Texas has fully funded and disbursed all necessary funds to enable Texas counties to operate said governmental program. NOW, THEREFORE, BE IT RESOLVED that the North & East Texas County Judges and Commissioners Association does hereby express its opposition to efforts to limit local control and does hereby oppose any attempts to impose revenue caps or appraisal caps upon Texas counties, and the North & East Texas County Judges and Commissioners Association expresses its deep appreciation to all legislators who oppose these unsound measures. NOW, THEREFORE, BE IT RESOLVED that the North & East Texas County Judges and Commissioners Association opposes any attempt to impose a mandatory assessment upon Texas counties to fund a regional or statewide health care system. NOW, THEREFORE, BE IT RESOLVED, that the North & East Texas County Judges and Commissioners Association hereby requests that the State of Texas implement the additional funding for mental health services in S.B. 1, the General Appropriations Act, and implement the state mental health plan approved in H.B. 3793 to ensure the efficient and effective use of these resources. 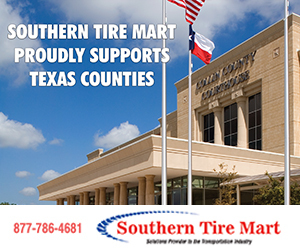 NOW, THEREFORE, BE IT RESOLVED, that the North & East Texas County Judges and Commissioners Association does hereby support the constitutional amendment for the state highway fund to be considered on November 4, 2014, and requests its approval by the voters. NOW, THEREFORE BE IT RESOLVED, that the North & East Texas County Judges and Commissioners Association is opposed to any legislative action that would remove current county authority to regulate fireworks. NOW, THEREFORE BE IT RESOLVED, that the North & East Texas County Judges and Commissioners Association does hereby request the repeal of H.B. 259 and the re-establishment of local control over the premises of public buildings. 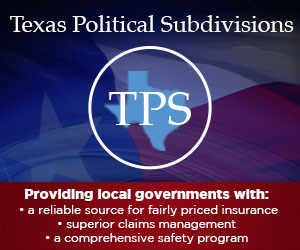 BE IT FURTHER RESOLVED that we support increased tax benefit to the local school district and continuation of local decision-making power to approve projects, and urge the State Legislature to show its support of rural Texas communities by only passing bills that include all of the above-stated resolve. NOW, THEREFORE, BE IT RESOLVED that the North & East Texas County Judges and Commissioners Association does hereby urge the Texas Highway Commission to reverse this ill-considered decision and continue the county road sign program on state highways.